April is Child Abuse Awareness Month. Last post, I covered how a given history for an injury may be a signal that an injury was intentionally inflicted. Today, I'm going to cover how the injury itself may give off clues for an abusive injury. 1. Injury is beyond the child's developmental level: You'll notice this is the first clue I gave concerning the history. But, it also plays into the injury itself and I'm going to talk specifically about infants. Any bruising in an infant to the face, head and neck when they are not yet pulling themselves up to a standing position is concerning for abuse. To create an injury, you have to fall off of or run into something and you need to have some velocity behind it. 2. The injury has a pattern: Consider typical childhood bruises. They are roundish in shape, of varying circumferences and received from a low-velocity type injury... say the child running into a counter with their forehead. Anything that makes an imprint generally requires high-velocity force to imprint the pattern onto the skin. Take the injury to the left. If I loop a belt and tap you with it, there likely won't be any injury at all versus if I take it and swing it at you like a pitcher throwing a baseball, it has the potential to create what you see. 3. The injury in not over a bony prominence: Again, if you have children, think back to their younger days when injuries were common. When they fell, where did they bruise? Head (scalp, forehead, nose, chin), elbows, shins, knees. Most often, kids fall or run into something in a forward motion. Bruising to the buttocks in a diapered child is particularly concerning. Often, they will fall onto their bottoms, but they also have extra padding. 4. There are a lot of bruises: This is not definitive but can be a signal for abusive injury, particularly if the pattern is not a normal bruising pattern as in #3. The graphic comes from: http://www.forensicmed.co.uk/pathology/paediatric-forensic-pathology/. None of these items is taken in isolation as a single indictment against the caregiver. Let's say you accidentally drop a toy onto your 2 month old's face while cleaning up. It causes a bruise and you want it checked by the pediatrician. The pediatrician is not going to report you. Why? You have a plausible story (dropping something onto the baby's face), it is a low velocity injury (the bruise is probably small and round) and there is only one. Medical professionals look at the totality of the child's case: the history, the social environment, and the injury is considered before a report to child services is made. Reports are not made lightly. In future posts, I'll go in to more specifics about child abuse injuries. The above offers some beginning guidelines. In the comments section, give a specific injury that might be concerning for abuse. I read a lot of ficiton. Okay, suspense fiction. What I find missing is an area that seems to be in few books yet inherently has a lot of conflict. Child abuse. What fiction titles are you aware of that as a central theme center around child abuse? April is Child Abuse Awareness Month so I thought I'd do a few posts about child abuse injuries and how medical providers pick up on the fact an injury may be intentional or inflicted. As a pediatric nurse, I've been witness to child homicide at the hands of abuse. Yes, it is murder. It's a necessary part of my job in dealing with these families, perhaps even the confessed abuser, as I care for the child abuse victim. And yes, there is a lot of conflict in these situations. How do we as pediatric medical providers begin to suspect that an injury is abusive? During the initial evaluation of an injury, confession among abusers is rare (perhaps, they will confess later). There is often a history given to account for the injury. Both parts: the history of the injury and the injury itself can give red flags for child abuse. Today, let's examine the story and how it may signal an abusive injury. On Friday, we'll look at the injury itself. 1. Is not realistic considering the child's developmental level. This is more common than you might think. Most people cannot rattle off when a child should meet certain developmental milestones so they'll say the child injured themselves in a manner that is beyond their developmental level. For instance, "my daughter broke her arm by rolling off the couch". The baby is two-weeks old. Infants typically roll over starting at 3 months. Here's a great resource for any writer/parent for developmental milestones: http://www.babycenter.com/baby-milestones. 2. The story changes. Just like criminals, abusers can have a hard time keeping their story straight. Often times, the more abusers are questioned about the plausibility of the story, it will begin to change. Medical staff interviewing a potential abuser can be like a detective getting a criminal to confess. The doctor will often approach the caregiver several times to ask questions about the injury to see if the story changes. In latter interviews, the doctor may say, "This injury is suggestive of abuse." 3. The story has too much detail. This one may seem odd but it can be a red flag for abusive injuries. If you have children, think back to their toddler/elementary school years when they seem to come home with lots of bumps, bruises, cuts and scrapes. If asked, could you come up with an explanation for each and every injury? Likely, no. Abusers will try and explain away every injury. A non-abusive parent will be truthful and likely say, "I have no idea how that happened." and then probably feel guilty about not knowing. What other part of a medical history/story might give a signal for abusive injury? I'm so pleased to announce a new guest blogger here at Redwood's Medical Edge. Adelheideh Creston (I call her Heidi) is an RN specializing in obstetrics and neonatology. Her expertise will be an excellent addition to adding medical fact to your fiction. Today, she focuses on what the general guidelines are for vaginal delivery after C-sections. All right men... no blushing. For the patient who has had only one prior cesarean section for an indication that no longer presents itself in her next pregnancy (for example, if her first baby was breech, but the second baby is not), then the patient may ask the physician for a trial of labor (TOLAC). These patients that delivery vaginally are then referred to as successful VBAC (vaginal birth after cesarean section). The patient however will undergo a TOLAC for each succeeding pregnancy thereafter. ﻿﻿ Midwives, physicians assistants, and nurse practitioners cannot manage the care of these patients alone. There must be a physician present during the labor process. It is important to note that the physician has to agree to the TOLAC, if the doctor does not agree to it then it is the patients’ responsibility to find another physician who will. Some physicians do not carry the insurance for TOLAC or (VBAC). There are some states and countries that do not offer TOLAC or VBAC option regardless. Some hospitals do not carry TOLAC or VBAC insurance due to the maternal risks and expenses associated with these procedures. The first thing to remind everyone is that cesarean sections are major abdominal surgeries. There is nothing lackadaisical about it. Given that information, any time a muscle in our bodies is cut torn or otherwise altered, that muscle is weakened permanently. During a cesarean section the abdominal muscles are both cut and then torn. The uterus is a muscle, the physician cuts into the uterus in order to remove the baby. There are two commonly used incisions: lower transverse (aka bikini cut) and the Classical Incision (aka T-cut). Lower Transverse is the preferred, most common and least damaging of the incisions. The uterus can develop a uterine window, a fragile site on the uterus that can lead to medical emergencies for the mother and baby. Partial and full abruptions and ruptured uterus are the most lethal and common complications associated with TOLAC and VBAC procedures. An abruption is when the placenta dislodges from the uterine wall prior to delivery. In this case, without emergency intervention (imminent birth or emergency cesarean section), the baby will die. A ruptured uterus is a breakdown of the uterine wall, in which case both mother and baby are at risk for sudden death. Cesarean sections leave the uterus in a compromised state, the more c-sections a patient has, the more compromised the uterus is, which leaves the patient more a risk for abruption and or rupture. In my experience, patients having had two or more cesarean sections, regardless of the indication, a TOLAC or VBAC are not an option. At this point the risks outweigh the benefits. This risk is so prevalent neither the hospital nor the physicians are willing to accept that responsibility. The physician and hospital will go to great lengths to explain the risk associated with a TOLAC to the patient. Ultimately the decision is up to the patient. The patient can go against medical advice. Proper paperwork must be filled out indicating that the patient is cognitively aware of their decision and understands the risks involved. The physician and hospital can also file a legal petition to a judge concerning the patient’s decision. What plot scenario can you think of using these guidelines that will still have a lot of conflict? Adelheideh Creston lives in New York. She is former military and married military as well. Her grandmother was a WAVE and inspired her to become a nurse. Heidi spent some time as a certified nursing assistant, then an LPN, working in geriatrics, med surge, psych, telemetry and orthopedics. She’s been an RN several years with a specialty in labor and delivery and neonatology. Her experience has primarily been with military medicine, but she has also worked in the civilian sector. Heidi is an avid reader. She loves Christian fiction mysteries and suspense. Though, don’t recommend the gory graphic stuff to her… please. She enjoys writing her own stories and is yet unpublished. It's been my pleasure to host Laurie this week. 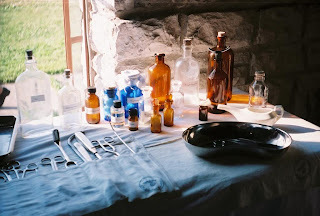 In her final post she gives a brief overview of medicine during the 1860's. This is great information for any historical writer. Thanks Laurie for all of your hard work! A writer always wants to make her hero an admirable person, perhaps even exceptional for his time, but still realistic. Nowhere is this more of a challenge, I believe, than when one's hero is a doctor in the past. Medical colleges were in their infancy, and though my hero attended one, most doctors were still trained by apprenticing themselves to doctors already in practice, and reading what textbooks were available. There was no national requirement that doctors attend a recognized medical school. Doctors saw patients in their office, but more patient visits took place when the doctor arrived in his black buggy. When the story begins, Dr. Walker had just come out of the Civil War, in which he had been a doctor with the Union Army. In that war, as in many others, as many soldiers died of unsanitary conditions and contaminated food as died on the battlefield. Medical tents and buildings used for medical treatment were overcrowded and doctors worked around the clock, hampered by lack of supplies and knowledge. The most common treatment for wounds was amputation; the most common non-traumatic death was caused by dysentery. Making Dr. Nolan Walker exceptional in his medical practice was more about what he didn't use in the way of medical treatment than what he did. Many doctors of the time still used blood-letting as a treatment. One of the most popular medicines used was calomel, a compound whose main ingredient was mercury, which we know today to be a toxic substance. But back then it was used for almost every ailment, and was believed to be a stimulant, a cathartic (meaning it induced bowel movements) and an antimicrobial (though before bacteria were fully understood). Most often used for syphilis and given orally, it gave the patient foul breath, excessive salivation, and muscle trembling. It produced brain damage, and Dr. Walker was too smart to use it. 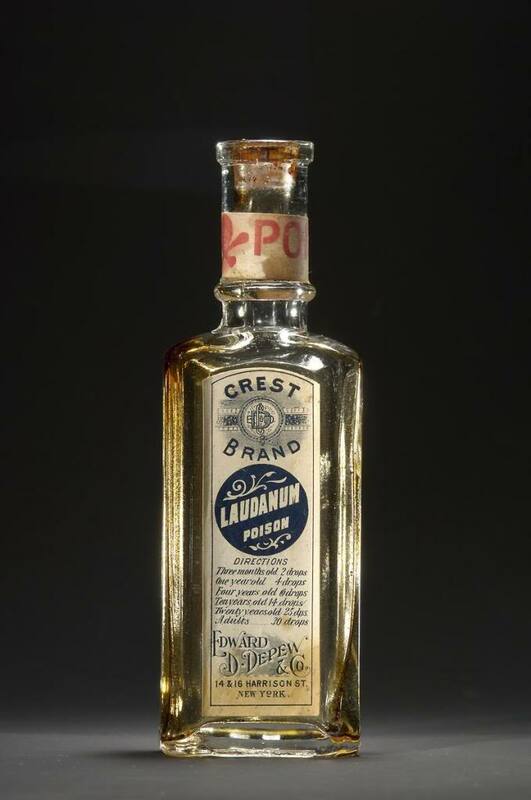 ﻿Another very common medicine was laudanum, and it was readily available over-the-counter. 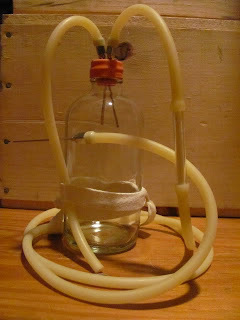 Its chief ingredients were opium and alcohol. Though useful as a sedative when that was truly needed, it was addictive and often abused. Even when used judiciously, it could produce nightmares in the patient. The use of carbolic acid, discovered by Lister in Europe, as a disinfectant before and during surgery had just begun, but was not generally accepted. Many doctors still operated in street clothes and didn't wash their hands between patients. Indeed, my doctor Walker was scorned as "fussy" by his fellow Army doctors for using it, but his amputation patients died much less often that those of his scorners. Dr. Walker uses it when Sarah Matthews falls and cuts her arm. The wise doctors of the time, such as my hero, used remedies such as willowbark tea to reduce fever, and scorned the patent medicines sold over-the-counter and by medicine-show quacks. The key to treatment, in their view, was supportive therapy—any treatment which strengthened the body's ability to heal itself. He believed in the tenet of the Hippocratic Oath which says "First, do no harm." A Textbook of the Theory and Practice of Medicine, edited by Wm. Pepper, MD, W.B. 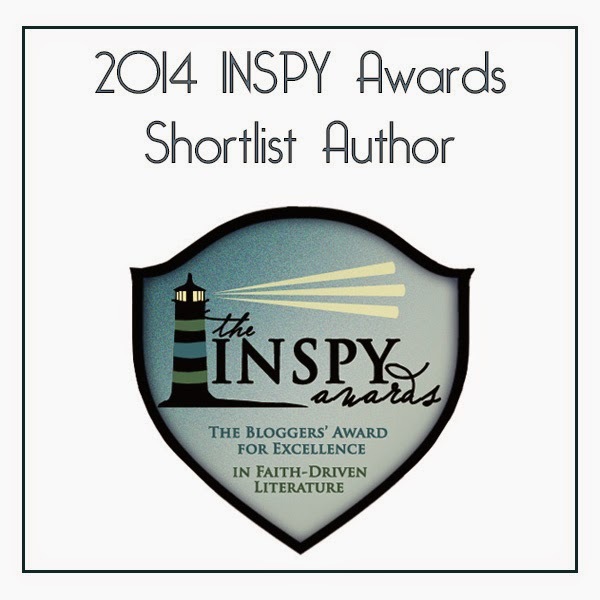 My website and blog are located at: http://www.lauriekingery.com . I answer all mail. Thanks, Jordyn, for giving me this opportunity to talk about mid-1800's doctoring and promote The Doctor Takes a Wife and my other "Brides of Simpson Creek" books published by Love Inspired Historicals. 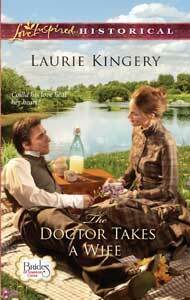 Laurie continues her three part series today with an excerpt from her novel, The Doctor Takes a Wife. This scene makes me thankful I'm a nurse now and not in the 1860's. Just then, a harsh, guttural cry erupted from the woman on the bed. Her spine arched like a tightly-drawn bow. Sarah's slender frame threw itself into a racking series of alternating contractions and relaxations. The bed frame thudded in a horrible rhythm against the wall with the force of the convulsion. Nolan's hand dived to her forehead, and flinched as he felt the heat there. She was as hot as if the very sun had taken up residence within her. "Help me turn her on her side, Reverend!" he said, fearful that Sarah would choke. Prissy ran into the room, perhaps drawn by the noise of the bed shaking, and screamed when she saw Sarah convulsing. "Prissy! Go out and see if there's ice in the rain barrel—or in a water trough in the stable. I need it to get her fever down!" Nolan wasn't even sure if she could get it in time to help her friend, but he sure couldn't think with Prissy's shrieking reverberating in his ears. He was dimly aware of the preacher trembling and sinking to his knees on the other side of the bed, his hands clasped, his head bent. "Reverend, please, pray harder!" he whispered desperately. What medical treatments fascinate you from this time period? I'm pleased to host guest blogger and fellow ER nurse, Laurie Kingery. Laurie works combined ED (both adult and pediatrics) at a Level I trauma center. She will be posting this week about her research into medicine during the 1860's and her novel The Doctor Takes a Wife. Welcome, Laurie! In 2009, when I was in the planning stage for my book, The Doctor Takes a Wife, the second book in the "Brides of Simpson Creek" series for Love Inspired Historicals, I wanted to give my hero, Dr. Nolan Walker, late of the 20th Maine regiment in the Civil War, a major crisis to surmount. It was all very well to depict a doctor in a small Texas hill country town delivering babies, setting broken bones, and riding to outlying ranches in his black doctor's buggy, but I wanted to give him a dramatic role that twenty-first century readers could relate to. First I thought of a cholera epidemic—there were certainly plenty of those back in the days of unchlorinated drinking water and easily contaminated food, and I could remember hearing about cholera epidemics portrayed on the old TV westerns such as Rawhide and Wagon Train. But very frankly, cholera is a disease of profuse vomiting and diarrhea. As a veteran emergency room nurse I am certainly used to dealing with those symptoms (though not due to cholera, thankfully) and I was pretty sure readers didn't want to read about that in a romance any more than I wanted to write about it. But this was the time when we were all bracing for the worldwide pandemic of H1N1 influenza. The first few fatal cases had been diagnosed in Mexico and Texas, and experts were predicting the possibility of deaths on a scale not seen since the influenza epidemic of 1918. Vaccine producers were gearing up to produce immunizations. At work we were told the staff would get vaccinated, "or else." Hysteria was definitely in the air. So the subject of influenza was definitely a timely topic, but influenza epidemics also occurred in the 1800's, though not on the scale of the "Spanish flu" in 1918. Bingo—my fictional community would endure an influenza epidemic, and my hero Dr. Walker could indeed do heroic things. Then came the question of how to research the topic. 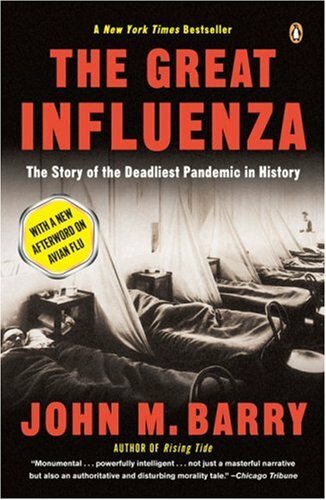 During this time I heard an interview of John Barry, the writer of The Great Influenza, a book about the 1918 influenza epidemic. Due to the threat of an H1N1 epidemic, the book was receiving renewed attention. Thankfully, the library carried the book on CD, so as I drove to work I could listen and research my book. The story of the 1918 influenza epidemic was both fascinating and frightening. At the height of World War I, the epidemic began mildly enough in an army camp in Kansas. When the troops moved east, it appeared to die down for awhile, and then erupted worldwide. By the time it faded away, it had killed an estimated 100 MILLION people, "more than the Black Death killed in 24 years, more than AIDS killed in 24 years," to quote one review. At one point, cities were running out of coffins for the corpses. It could kill at astonishing speed. The book cited an incident of a healthy person boarding an omnibus for a trip across town being felled by the virus and dying before he reached his destination. A scary fact was that the younger "healthy" adults, such as soldiers, seemed the most likely to die. I heartily recommend the book, though it is long, goes into a lot of pathophysiology, and goes way back into history to give background on the state of medicine at that time. But the author takes care to make it interesting and understandable. Although several individuals lost their lives during my fictional epidemic in THE DOCTOR TAKES A WIFE, it didn't compare to the 1918 epidemic, of course. But it provided great scope, I think, to show what limited resources the physicians of that time had to combat such illnesses and their complications—mainly willowbark tea to treat fever (a source of acetyl salicylic acid, from which modern aspirin is made), sponge baths to lower fever, fluids, laudanum and prayer. Next I'll post an excerpt from the story showing a crisis point in the book, when Nolan Walker is afraid he will lose the woman he loves, Sarah Matthews. It's tax day! Are you suffering? Feeling the need to call 911? Dianna Benson, Redwood's resident EMS expert, is back for her monthly post. Today, types of EMS calls... in case you're feeling the need for a little 911 service. But more importantly, for accurate descriptions in your ms. This should give you lots of ideas. 1) Trauma: Injuries caused by trauma – Motor vehicle collisions, falls, bicycle accidents, motorcycle accidents, sporting incidents, gun shot wounds, stab wounds, burns, etc. 2) Medical: MI (myocardial infarction – heart attack), hypoglycemia (low blood sugar), seizure, hypertension (high blood pressure), dyspnea (shortness of breath), abdominal pain, etc. Medical is tricky because, for example, the causes of abdominal pain are numerous, ranging from abdominal aortic rupture to ectopic pregnancy, so it’s our job to place the puzzle pieces together to diagnose the medical condition in order to best treat the patient. 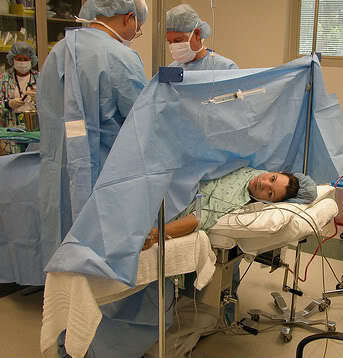 On the other hand, trauma is difficult since we may treat multiple severe issues on one patient as well as treat multiple patients with an array of issues in a chaotic situation. 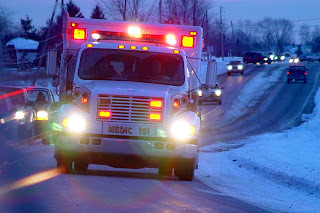 In the times when inaccurate information is given to us by dispatch for various reasons (see my post – EMS and Dispatch), the type of Call dispatched may not be the true situation. 1) Hemorrhage Calls can be anything from a simple nosebleed to multiple gushing wounds and an amputated limb. 2) A seizure Call: The patient (alone in a room) is suffering a MI (heart attack) and falls unconscious, hitting his/her head on an object on the way to the ground, and the head trauma causes a seizure. A bystander found the patient seizing, but when that bystander spoke with 911 they were completely unaware of the myocardial infarction, the fall, and the trauma to the back of the patient’s head. So, this Call is actually both a medical and a trauma Call. 3) The Call is dispatched as a cardiac, but on-scene we find the patient is suffering with chest pains and abdominal pains due to a serious fall, which caused multiple abdominal and chest injuries, so the Call is actually a trauma Call not a medical Call. Can you think of other scenarios where the Call dispatched is not the true situation? Thank you in advance for reading and for your participation and comments. If you have any questions, please do not hesitate to ask. Last post, Carol provided a detailed question for a manuscript in progress about giving Benadryl to a 2y/o boy who some nasty kidnappers have taken. They want the child to be quiet. 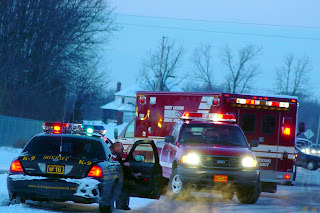 The child is rescued by the police and taken to the ER. What is treatment in the ER for this fiction scenario? Check last Wednesday’s post for her full question. Benadryl can be a tricky drug, particularly in the pediatric population. I am a pediatric ER nurse and have seen lots of kids get Benadryl and get too much Benadryl. The issue is this... an appropriate dose may make them sleepy but not knock them out. A child in a high stress situation may not get sleepy because his adrenaline may counteract the effects of the Benadryl. If you give more than the appropriate dose of Benadryl, they can actually begin to have toxic effects and are not very sleepy at all. In fact, they can be more like little Tasmanian devils. I think a better choice for your fiction scenario might be a sleeping pill or tranquilizer. Something your nefarious characters may have around via prescription. Now, I’m going to defer publishing a drug and appropriate dosing here as you can find that yourself by Googling “tranquilizer dosing in kids/pediatrics” and it will give you several drug names. From those drug names you can Google the drug by typing “(drug) dosing in pediatrics). The pill could be crushed and given in something like a spoon full of pudding. A tranquilizer will have a more predictable effect than Benadryl. I think the EMS response is reasonable considering his vital signs. In the ER, we're going to assume worst case scenario. If he was kidnapped (I'm assuming he has been given that the cops rescue him), we're going to assume the kidnappers may have given him other bad things. Standard treatment for drug ingestion is to draw blood for salicylic acid (Aspirin) and acetaminophen (Tylenol) levels. Probably baseline labs are in order to check his blood electrolytes. We'll want his urine for a urine drug screen. This will check for common drugs of abuse and also prove that he was given a tranquilizer if the kidnappers aren't forthright with what they did give him. If we know the child received the drug within 60 minutes of his arrival to the ED, the physician may choose to give activated charcoal, which is a substance given orally to help absorb the drug from the stomach. He'll be placed on a monitor and observed for several hours until the drug wears off and he’s back to his normal baseline. Hospital admission is unlikely as long as he does well during his ER observation period and we feel he’ll be in safe hands with the mother. We'll take a good look over his skin... checking for unusual bruising that may indicate he'd been abused/injured. The circumstances of the child's kidnapping are unclear. We would contact the police but it is clear that the police are involved in your scenario. This is a situation where we will also involve social work as well either for support of the mother, over concern for the child if we felt a parent's negligence was a factor in the kidnapping, or family dynamics were concerning… say there’s an acrimonious divorce and the mother states the father was involved in the kidnapping. These factors could increase conflict in your story. What other factors can increase conflict in Carol’s story? Carol Moncado lives with her husband in Southwest Missouri. When she isn’t writing Inspirational Romance or Romantic Suspense, she’s teaching American Government at a community college, hanging out with her four kids, reading, or watching NCIS. 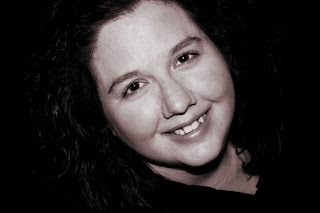 You can find her at: http://www.carolmoncado.com/, http://www.carolmoncado.wordpress.com/ , and her newest blog, Pentalk Community Blog, where she serves as editor-in-chief: http://www.pentalkcommunity.blogspot.com/ . 2yo boy is given a drug [I'm thinking Benadryl but open to suggestions] to keep him quiet for several hours. He's rescued by his mom/cops and put in the ambulance to head for the ER. When they find him [about 5 hrs after being taken], his pulse is strong but a bit on the slow side and his O2 is fine. They hurry but no lights/sirens/etc. Does that sound right? I'm thinking they would take him to the ER for observation and possibly admit to watch him until he's fully out of it. Is there anything else they would do to counteract it? Or just let it work its way out of his system as long as everything else looks good? Start an IV since he's been out/sleeping for so long? Are there any other concerns? I don't want any long term affects of the drugs, just something they did to keep him under control. How long they keep him [ER or admitted] will play a bit of a role in the story. I tried Googling Benadryl and all I got was info about using Benadryl for kids on flights, etc. [and most of that was criticizing, bashing, condemnation depending on the author of that particular post] which isn't quite what I need. Any thoughts for Carol? How will your thoughts compare to mine? I’ll post my answer Wednesday. Today is Sarah's final post on medications used during WWII. I think this has been a fantastic overview for any historical writer. Thank you, Sarah, for all your hard work. Illness and injuries are a great way to build conflict and drama in your novel—but they’re hard on your characters. Be a nice author and learn how to treat them properly. In my World War II novels, A Distant Melody, A Memory Between Us and Blue Skies Tomorrow (coming August 2011), my characters suffer from pneumonia, combat injuries, and burns, plus the heroine in the second book was a nurse. Researching medical treatment of the time allowed me to include accurate period details. On April 4th I covered the basics of medication use during the war years, and then on April 6th and today I’m reviewing categories of medications available at the time. 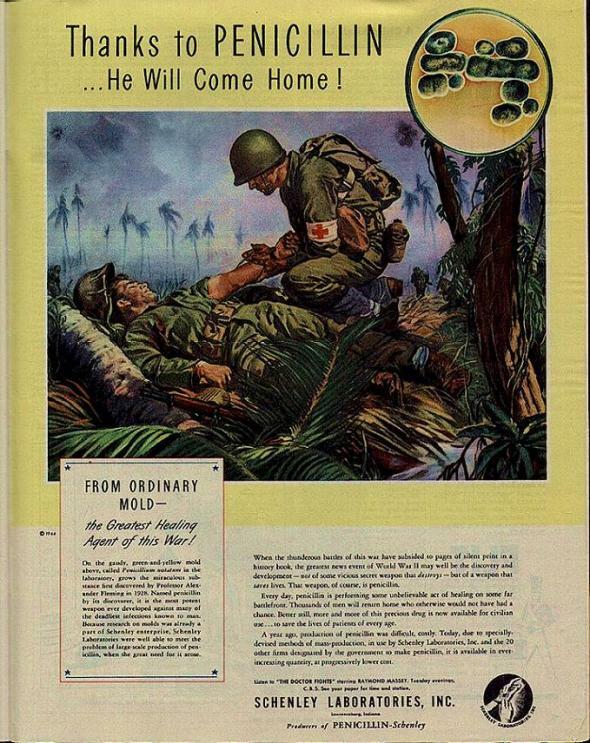 During World War II, the death rate among the wounded who made it to field hospitals was significantly lower than in earlier wars, due to the availability of plasma and antibiotics. Sulfa medications were introduced in the 1930s. Those available during the war included sulfanilamide, sulfaguanidine, sulfadiazine, sulfathiazole, and sulfapyridine. Sulfas were used to treat pneumonia, dysentery, infected wounds, gonorrhea, and other infections. All soldiers carried a first aid kit containing twelve tablets of sulfanilamide as well as sulfanilamide powder. If wounded, the soldier poured the powder directly onto the wound and started taking the tablets. This reduced the rate of wound infection significantly. Penicillin was discovered by accident in 1928 by Scottish scientist Alexander Fleming, but scant attention was paid to this discovery. In 1940, scientists isolated the compound, and on May 1, 1941, the discovery of a wondrous new antibiotic was announced. However, the complicated manufacturing process slowed production. Penicillin was first tested in military hospitals in North Africa in April 1943 by Fleming himself, and experiments expanded to soldiers hospitalized in England in May 1943. On November 25, 1943, a new manufacturing process was announced. By December 1943, penicillin was available to Allied soldiers for life-threatening, sulfa-resistant infections, and by April 1944 was widely available in military hospitals. Civilian hospitals began to receive it in May 1944, and a new oral formulation was available in civilian pharmacies in August 1945. Penicillin was used for a variety of infections, such as pneumonia, wound or surgical infections, and gonorrhea and syphilis. 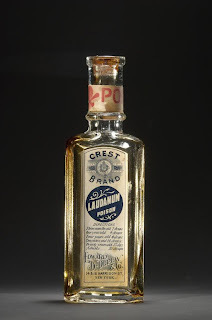 Quinine was the drug of choice for prevention and treatment of malaria. However, the Japanese conquered the countries where quinine was produced. The US military requisitioned most of the civilian supply, but it wasn’t enough. Atabrine, a synthetic substitute, was used by the millions of military men and women serving in the Pacific or Mediterranean Theaters. Atabrine produced unpleasant side effects, including diarrhea—and it tended to turn the skin yellow. Quinine was reserved for treatment of patients who could not tolerate atabrine. Before penicillin was available, syphilis was treated with mapharsen or with sobisminol. Amebic infections were treated with carbarsone or chiniofon, and worm infections with arecoline, hexylresorcinol, or Santorin. A new class of antibiotics was introduced in May 1945 when streptomycin came to the market. US Army Medical Department Office of Medical History. http://history.amedd.army.mil (Official site with full textbooks about military hospitals and medical treatment from 1775 to present). Sarah Sundin is the author of the Wings of Glory series from Revell: A Distant Melody (March 2010), A Memory Between Us (September 2010), and Blue Skies Tomorrow (August 2011). She has a doctorate in pharmacy from UC San Francisco and works on-call as a hospital pharmacist. Today, we're continuing with Sarah's series on medications used during WWII. On April 4th I covered the basics of medication use during the war years, and then today and April 8th I’ll review categories of medications available at the time. ﻿Aspirin was used for minor pain and for fever. “APC capsules” for pain were compounded by pharmacists from aspirin, phenacetin, and caffeine. Ergot and ergonavine were used for migraines, but wartime shortages affected the supply. Narcotic analgesics included morphine, apomorphine, hydromorphone (Dilaudid), and as of 1942, meperidine (Demerol). Military medics and some officers carried morphine syrettes, small tin tubes with an attached needle containing half a grain (32 mg) of morphine. On the battlefield, prompt treatment of pain decreased deaths from shock. Cough syrups contained codeine or terpin hydrate with codeine. Ephedrine, phenylephrine, and phenylpropanolamine were available as nasal decongestants. Treatment of severe allergic reactions, such as anaphylactic shock, involved the use of adrenaline and morphine. Antihistamines and corticosteroids were not on the market yet. For nausea, sodium bicarbonate (baking soda) with or without peppermint was used. Laxatives included cascara, senna, castor oil, and mercurous chloride. Diarrhea was treated with belladonna or homatropine, but shortages of belladonna occurred due to the war. For diabetes, insulin was available, but no oral medications. For hypothyroidism, thyroid tablets were given. Vitamins A, C, D, E, K, and the B vitamins were used, as were electrolytes such as sodium, potassium, magnesium, and calcium. IV fluids, such as dextrose 5%, normal saline, and lactated Ringer’s solution were also used. Itching was treated with menthol, camphor, or calamine. Burns were treated with boric acid solution or ointments, and with petroleum jelly (Vaseline) pressure dressings. Asthma attacks were treated with aminophylline, which was subject to shortages, and epinephrine (adrenaline). Ephedrine was used as a long-acting oral bronchodilator for asthma. Corticosteroids such as prednisone were not on the market yet, nor were inhalers. Digitalis was used for congestive heart failure, amyl nitrate for chest pain, and quinidine for heart arrhythmias. Shock could be treated with adrenaline, ephedrine, or vasopressin. Heparin was used to dissolve clots, but oral anticoagulants such as warfarin were not available. For diuretics, doctors turned to theobromine and mersalyl-theophylline. Severe depression and schizophrenia were treated with electric shock therapy, or as of May 1940, insulin shock therapy. Camphor and metrazol were used for psychiatric illness, and lithium for manic-depression (bipolar disorder). To treat anxiety or combat fatigue, various barbiturates were used, such as phenobarbital, amobarbital (Amytal), secobarbital (Seconal), and pentobarbital. These were also used for schizophrenic or manic patients when agitated. Chloral hydrate was used for sleep. For pilots making long flights, the Army Air Force distributed Benzedrine (amphetamine) tablets and inhalers. Air crew escape kits also contained Benzedrine tablets. I'm so pleased to have Sarah Sundin back this week. Her WWII research posts are always very popular. This week, she'll be focusing on medications used during WWII. Welcome back, Sarah! Illness and injuries are a great way to build conflict and drama in your novel—but they’re hard on your characters. Be a nice author and learn how to treat them properly. In my World War II novels, A Distant Melody, A Memory Between Us and Blue Skies Tomorrow (coming August 2011), my characters suffer from pneumonia, combat injuries, and burns, plus the heroine in the second book was a nurse. Researching medical treatment of the time allows you to include accurate period details. Today I’ll cover the basics of medication use during the war years, and then on April 6th and April 8th I’ll review categories of medications available at the time. Most medications have a generic name and a brand (or proprietary) name. The generic name is not capitalized, but the brand name is. For example, Seconal (brand) and secobarbital (generic), Pitressin (brand) and vasopressin (generic). Today many medications are available from the original manufacturer and from generic manufacturers, but before 1984, most medications were manufactured by a single company. Therefore, the issue of picking a cheaper generic over a pricier brand name didn’t exist in the 1940s. By the 1940s, more and more medications were commercially produced as pre-made tablets, but pharmacists still compounded a large percentage of prescriptions from raw ingredients. Compounded prescriptions included cough syrups, elixirs, antiseptic solutions, capsules, suppositories, powder papers, powders, creams, and ointments. ﻿Intravenous medications and fluids were used during the war years. However, our disposable, “Universal Precautions” age would seem foreign to the health care professional of the 1940s. Syringes and IV bottles were made of glass, and IV tubing and gloves out of rubber. Everything (even gloves) was cleansed and sterilized for re-use. Today most doses are expressed in metric units (milligrams, milliliters, etc.). In the 1940s the metric system was used to a lesser extent, and the term “cc” (cubic centimeter) was preferred over “ml” (milliliter). In the 1940s most medications were measured in apothecary units. Weight was measured in grains (abbreviated “gr” while gram is “g”), scruples, drams, ounces, and pounds. The apothecary ounce (31.3 g) is fairly close to the avoirdupois ounce (28.4 g). For comparison purposes, one grain is approximately 65 milligrams. Therefore a five-grain tablet of aspirin is equal to 325 mg.
Fluids in the apothecary system are measured in minims, fluidrams, fluidounces, pints, quarts, and gallons. The apothecary fluidounce equals 29.6 ml.